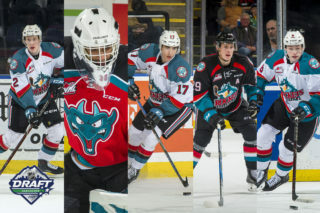 Game Day Preview: The Kelowna Rockets close out the weekend with a stop in Everett against the Silvertips. This is the first of four meetings between these two teams this season. The team makes a return trip January 18, 2019. 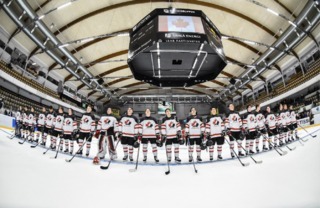 The Tips are in Kelowna twice, January 9th and February 15th. The Rockets head into this one on a three-game winning streak after a 3-1 win in Edmonton, a 3-2 victory over Regina this past Wednesday and a 3-1 triumph last night. Kyle Topping, Liam Kindree and Leif Mattson scored in the Rockets two-goal win over Victoria Royals. The Rockets close out the month of November on Wednesday against visiting Vancouver before heading to Tri-City to face the Americans next Friday. The Rockets are 7-3-1-0 in 11 games under Adam Foote. 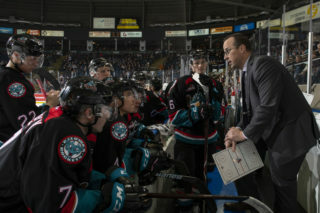 Broadcasters Notebook: The Rockets lost twice in Everett last season by scores of 8-2 and 4-2…Assistant Coaches Kris Mallette and Travis Crickard both earned their 200th WHL victories last night against Victoria….Nolan Foote has the second most goals (15) of any 2000 born player in the WHL. Brett Kemp of Edmonton has 16 goals…Foote has scored 7 home goals and 8 road goals this season…Foote is three points shy (97) of 100 for his career…Kyle Topping played in his 150th career game last night …6 of Topping’s 10 goals have come on the road…15 of Topping’s team-leading 29 points have come on the road…Leif Mattson snapped a 15 game goal scoring drought last night… Mattson’s goal was the 100th point of his career….Nolan Foote turns 18 on November 29th …Four members of the Kelowna Rockets have been named to NHL Central Scouting’s November “Players to Watch’ List. Forward Nolan Foote is an ‘A’ prospect, meaning a first-round candidate. Kaedan Korczak is a ‘B’ prospect which means he is a second or third round candidate. 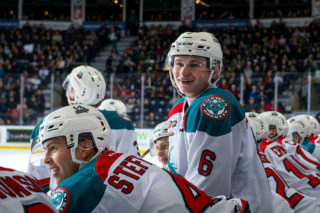 Roman Basran/Lassi Thomson are ‘C’ prospects, which means he could be taken in the third to the seventh round…Adam Foote was officially named the new head coach of the Kelowna Rockets on October 23, 2018, replacing Jason Smith. Trade Winds: The Rockets traded 18-year-old Wil Kushniryk to the Tri-City Americans October 22, 2018, for a 5th round bantam pick. The Rockets acquired 20-year-old defenceman Dalton Galley October 10, 2018, from Medicine Hat for a 10th round bantam pick. 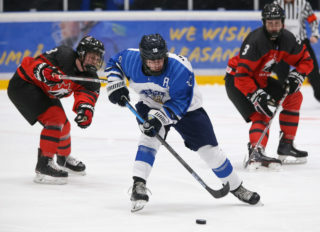 The hockey club acquired 18-year-old forward Michael Farren October 11th from the Saskatoon Blades for a third-round pick. 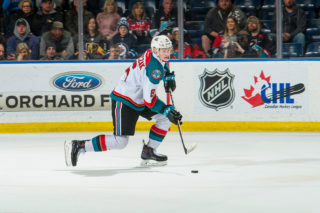 The Rockets acquired 20-year-old Lane Zablocki from Victoria for a conditional 7th round and conditional 4th round bantam draft pick on September 29th.